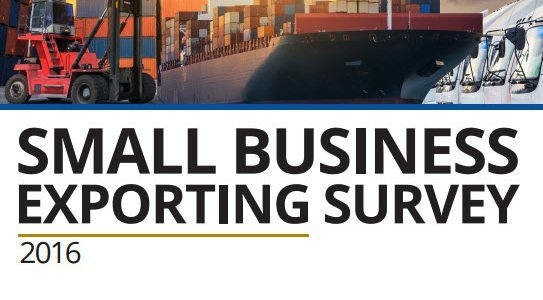 Washington, D.C. – The National Small Business Association (NSBA) and its international trade arm the Small Business Exporters Association, in partnership with Livingston International, today released the 2016 Small Business Exporting Survey. The comprehensive survey covers topics ranging from export finance and free trade to export volume and preferred export countries, and found small- and mid-sized enterprises (SMEs) taking on more of the administrative burden with less growth in exporting. The number one challenge facing current SMEs is getting paid which, coupled with turbulent foreign markets, led to an increase in the number of SMEs that reported utilizing Export-Import (Ex-Im) Bank products, despite a program shutdown in the past year. Not surprising, two-thirds of SMEs only ship their product/services upon payment in full. When it comes to free trade agreements (FTAs), SMEs report broad benefits, including access to new foreign markets and opportunities to expand existing export operations. Just five percent of SMEs report actually being hurt by FTAs, and a majority say they are more likely to enter a new market if it is covered under an FTA with the U.S. The 2016 Small Business Exporting Survey was conducted on-line Feb. 22 – March 14, 2016 among 530 small-business owners. Please click here to download the complete survey. Celebrating more than 75 years in operation, NSBA is a staunchly nonpartisan organization advocating on behalf of America’s entrepreneurs. NSBA’s 65,000 members represent every state and every industry in the U.S. SBEA is the largest and oldest nonprofit association in the country dedicated exclusively to small- and mid-size exporters. Please visit www.nsba.biz or follow us at @NSBAAdvocate.